Winning Wolf is one of the most beautiful (yes, we really believe pokies can be beautiful!) online and land-based pokies designed by Ainsworth, the Aussie pioneers in this industry. The new kid on the block has superbly taken the gaming industry by storm joining the must-spin list for many players. As the name suggests, the pokie is nature-themed with wolves, owls, squirrels and other wildlife clearly visible on the board. At initial glance, winning wolf looks almost the same as Eagle Bucks, another nature-themed game from this company, and surely, there has been a transplanting of much of the atmosphere and feel alongside the lack of FX or music, something that is absolutely unfortunate. Play Winning Wolf With $300 Free >> Play Now! The game has a different set of free spins which mix things a little bit. When playing the free spins round, the wolf will be held up throughout the period of the feature if it appears on the reels two, three or four. This is almost the same way like it happens in Eagle Bucks. All of a sudden, the small 8 free spins appear to be a little bit more charitable. It is also possible to trigger 5 free spins by simply hitting 3 more Mountain scatters anywhere. Although you won’t be in the dark as to what you should expect when playing the card symbols, you will encounter some changes in features as is always the case with all Ainsworth pokie games. Winning wolf pokie has a wild card and this is represented by the wolf. There are also free spins as is always the case. You should be on the lookout for the mountain icon and getting 3 or more of those will set off a round consisting of 8 initial spins. Considering that 10 is the standard, 8 is absolutely a modest number but the spins are played out on a little unusual and more important set of reels. In addition, you can trigger 5 more spins anytime if 8 spins are not enough with 3 or more mountains when playing the bonus game. 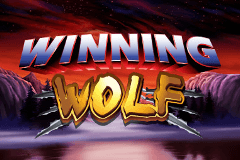 Winning wolf pokie has 3 reels, 50 bonuses and 5 pay lines. You can play above the maximum 50 win lines since the free spins pay normally pay out prizes on as many lines as the ones that were active when the round was activated. The 8 spins are awarded if a player lands 3 mountain symbols or more during a single spin. Although the winning wolf has a smaller number of total spins, the wild wolf compensates for this since it is a wild card when playing both free and standard spin plays. Winning Wolf is undoubtedly more fun to play compared to many Aussie land-based venues. The game perfectly delivers many thrills considering the neat features available in the bonus round. However, you will need to trigger the bonus round regularly enough. MoneyGaming.com is the best casino to play Ainsworth pokies online and there is no exception when it comes to the winning wolf pokie. However, only New Zealand players are accepted here and players in Australia will need to look for a different casino where they can enjoy the gaming experience. The most amazing thing is that MoneyGaming.com offers $ AUD300 as a welcome bonus. Great selection of brick & mortar pokies + $1k HighRoller Bonus.